The Chhau Dance is a popular form of tribal dance in India that incorporates elements of martial arts into its movements. This dance form is predominantly seen in the states of Odissa, West Bengal and Jharkhand. According to certain literary scholars, the word Chhau is derived from the Sanskrit word ‘Chhaya’ which essentially means masks, shadow or image while other scholars believe that the word is derived from ‘Chhauni‘ which means military camp. 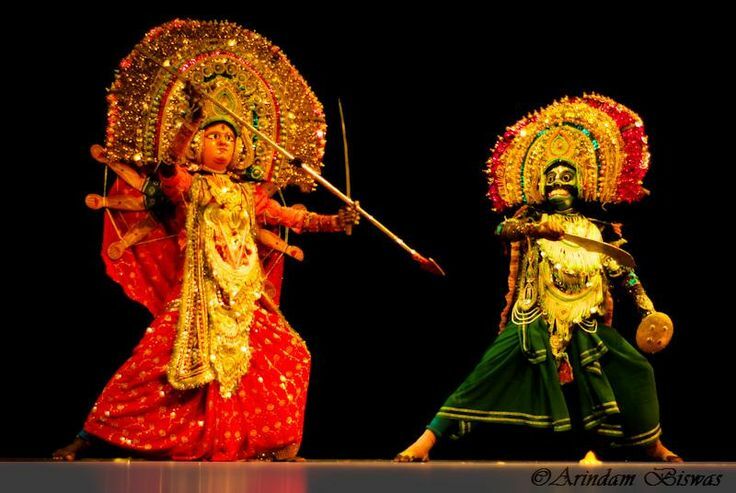 There are three subtypes of this dance form; namely Purulia Chhau, Mayurbanj Chhau and Seraikella Chhau. Differences between the three are dependent on their regions of origin. The Chhau Dance originates in the Purulia district in West Bengal and draws inspiration from martial arts and combative training. This form of dance is a means to portray stories to the audience, which is why elaborate masks and headgear associated with battle and war are worn during the performance. The story itself revolves around the two great epics of Indian Mythology – Ramayana and Mahabharata. Over a century old, this dance form was widely endorsed by patrons belonging to the royal families, rich landlords and British governors in the region. These performances are predominantly put up during the Gajan Festival, which takes place to honor Lord Shiva. Purulia’s Chhau Dance is usually performed during important ceremonies that have a strong religious significance, such as the Gajan Festival. They are also, at times, performed during weddings and on the Sun Festival. Mostly, these dances are performed on the floor, as opposed to an elevated stage, with the audience members sitting in a circle or a semi-circle around them to watch. To be a Purulia Chhau Dancer, students enroll in dance academies at an extremely young age. Various artisans throughout the state earn their livelihood by painting masks and headgear that can be worn by these dancers. Purulia Chhau Dance is not just a performance of dancers enacting religious epics; musicians play an extremely large role in making the recital come to life as well. Three main types of Indian instruments accompany the performance – these are the Dhol, Shehnai and Dhamsa (percussion instrument and Indian clarinets). The costume plays a vital role in this performance as the Purulia Chhau Dance is known for its distinctive set and costumes. The male dancers wear brightly colored dhotis (flared bottoms) with a matching kurta on top. 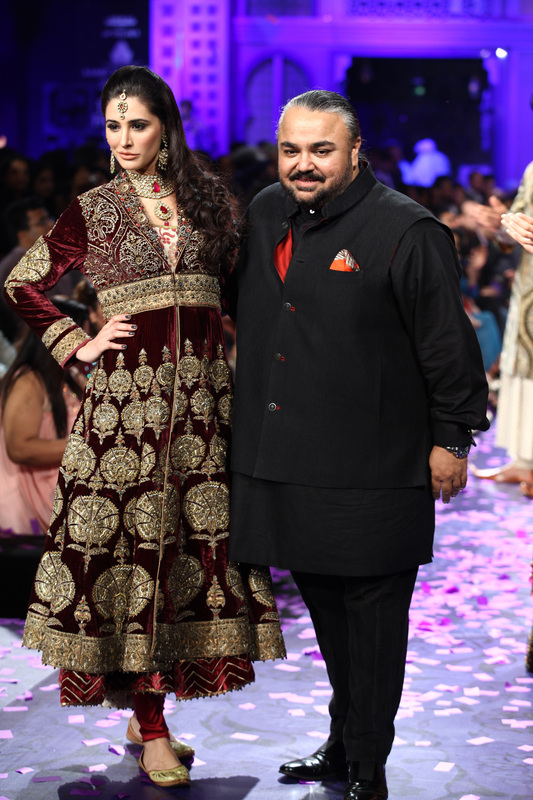 The kurta is usually obscured by the vast amount of costume jewelry that is worn in the form of necklaces. These are large in size, not just in number, and extremely heavy. Female dancers, or male dancers depicting female characters, are known to wear colorful sarees. The masks worn during this performance are of vital importance as they are used to convey emotions and the nature of the character, much like the way Grecian Masks functioned in plays. Popular and highly commended for creating some of the best masks in the State, Chorida is a village that these performers have come to rely on for their masks. All members of a household are involved in creating these masks, whether that translates to procuring clay, painting, drying or decorating these masks. They are also known for making the headgear that goes with the masks. The style and variety of the costume of the dancers largely depends on the characters being portrayed by them. Usually, there are three types of characters – Gods and Goddesses, Demons and Monsters. When depicting Gods and Goddesses, the color red is a prominent aspect of the clothing, as is elaborate costume jewelry around the neck and the headgear. The costume for Gods and Goddesses can also include a few extra sets of arms along with trademark weapons that a particular God or Goddess was known for wielding. For instance, Kali Ma would be accompanied by a string of decapitated human heads. Demons, while also elaborately dressed, are most likely to have different colored faces, for example, a blue face. Apart from this, the costume itself does not vary that much. 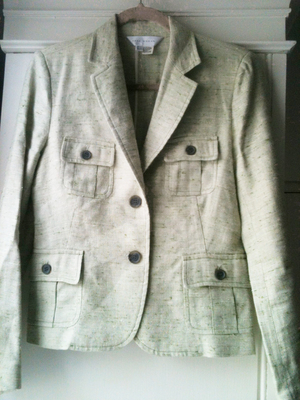 For monsters and animals, suits made to depict an animal or monster along with appropriate masks are worn. For instance, while depicting a lion, a dancer will don a lion suit along with a lion mask. This may or may not be accompanied by a weapon such as a sword. 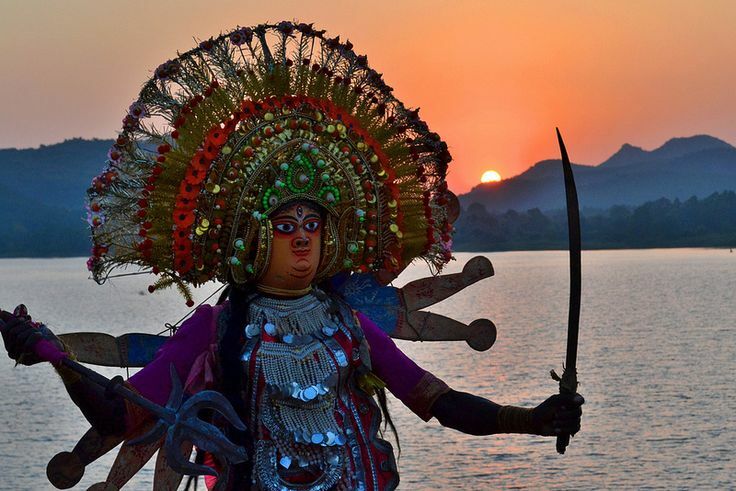 Purulia Chhau costumes have been influenced to the extent of using more interesting clothes or fabrics to create the ensemble as well as using masks that are extremely creative. Over the years, it has become more and more acceptable to wear printed or embroidered costumes while performing this dance form instead of just bright, bold colors. 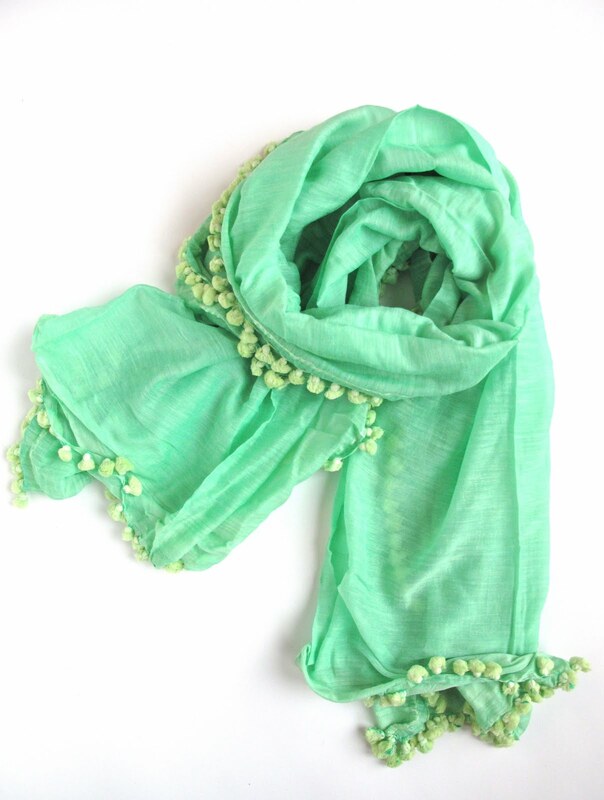 Silk is the most commonly used material for costumes, followed by cotton. 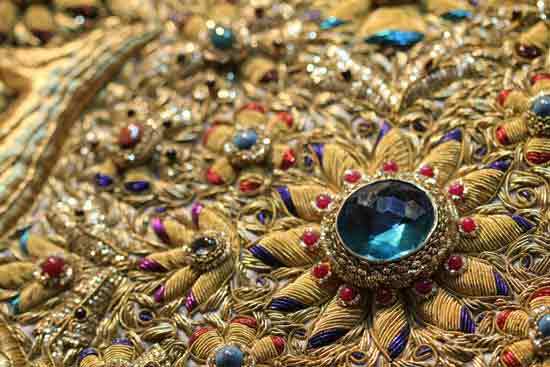 Silk can be maintained by wrapping the costume in a muslin cloth or a soft cloth of any other type. It should not be washed too often (it should ideally be dry-cleaned and not washed, however, if dry cleaning is not possible, the washing itself should be as limited as possible). It should also not be left in the sun to dry or the colors will begin to fade. 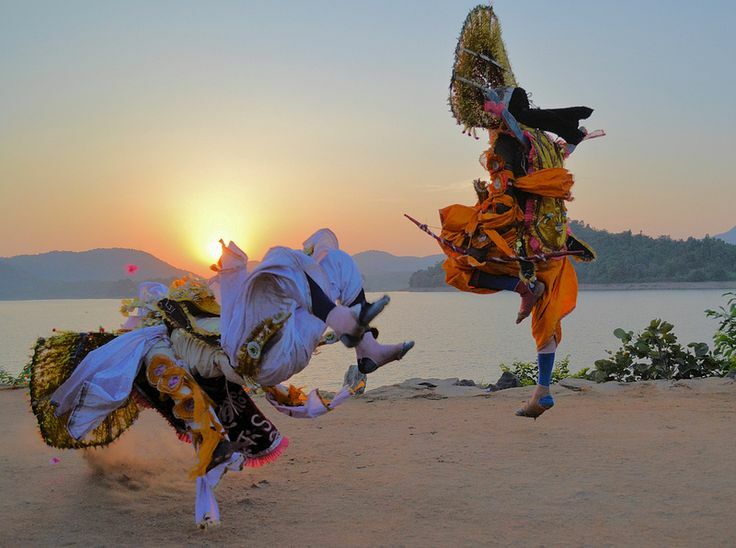 Purulia Chhau Dance is listed on UNESCO’s world heritage list of dances. Apart from being influenced by military movements, this form of dance is also influenced by a combination of regional dances like Nata, Nachni, Mahi and Juwaid. As their faces are covered by masks, dancers must emote through body language. When foreign anthropologists first discovered this dance form, many dancers formed their own parties in order to gain a sponsored trip abroad. The costumes have been made jazzier over the years, however, their styles remain the same.